These days there are so many ways to let credit get out of control that you will probably be constantly aware of the dangers of over spending. So many people have access to far more credit than they think they need or can afford, and it is a constant challenge not to let it get out of hand and fall into the trap of spending it all. For most people, credit cards are probably the most dangerous element of this situation and the one they will keep tabs on most closely. 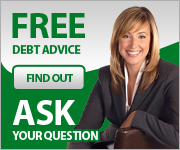 If you can get your credit card debts under control then you will have gone a good way to getting your finances and especially your spending under control. This is vital as credit card debt and other similar short term debts are one of the first places future lenders will look when assessing your credit worthiness for future borrowing. 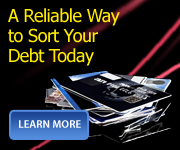 There are a few very simple ways to go about keeping credit card debts under control. They are really just common sense but it is useful to recap over them as many people fall into the trap of thinking that there is some sort of magical short cut to clearing your credit card debts. Sadly this is simply not the case, and despite all the amazing deals on the market, such as zero per cent balance transfers, and loyalty rewards, the only way to clear your self of your credit card debts is to simply pay them all back. The first thing you should do is cut back on your credit card use. You will have to stop spending so much so that your repayments can start to go back to reducing your balance rather than just keeping it where it is. If you think you will have trouble cutting back on your spending, then perhaps you should think about removing your credit cards from your wallet or purse, and leaving them at home. An even more drastic step is to cut them up. You should also make sure you are making more than the minimum repayments. Making minimum repayments will never clear the debt, or at least it will take you a very very long time. What you should do is make as much above the minimum payment as you can afford, concentrating most of your repayments on the cards with the highest interest rates. If you are having real difficulty meeting repayments, then you should perhaps consider contacting the credit card company and telling them of the situation and asking them if they can do anything to help you.